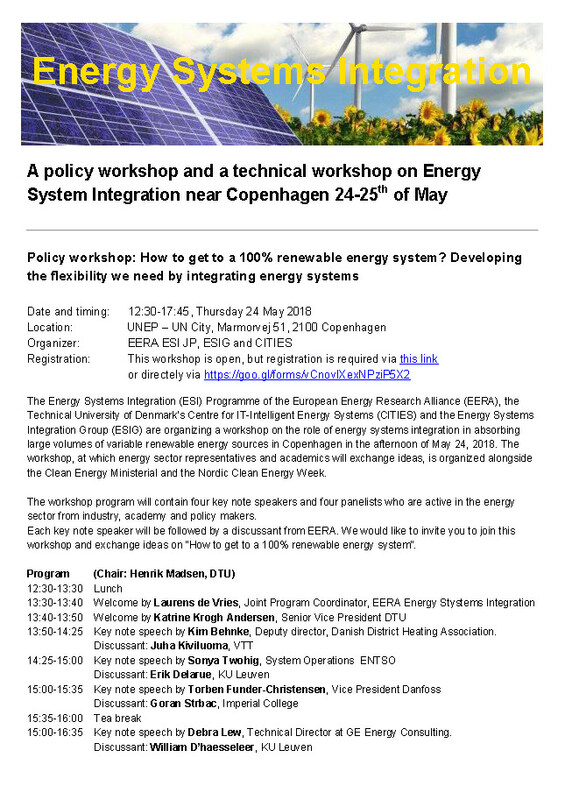 CITIES is organizing a workshop together with the Energy Systems Integration (ESI) Programme of the European Energy Research Alliance (EERA) and the Energy Systems Integration Group (ESIG). The workshop will take place on May 24th 2018 in Copenhagen alongside the Clean Energy Ministerial and the Nordic Clean Energy Week. The topic is “How to get to a 100% renewable energy system? Developing the flexibility we need by integrating systems”. 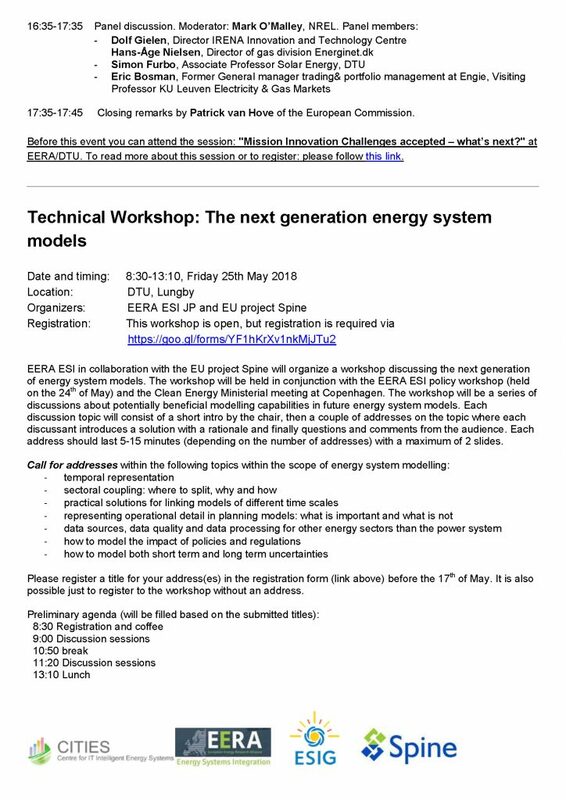 Furthermore, on 25th May EERA ESI JP and EU project Spine organize a technical workshop on the topic “The next generation energy system models” at DTU Lyngby. For the official event website click here.